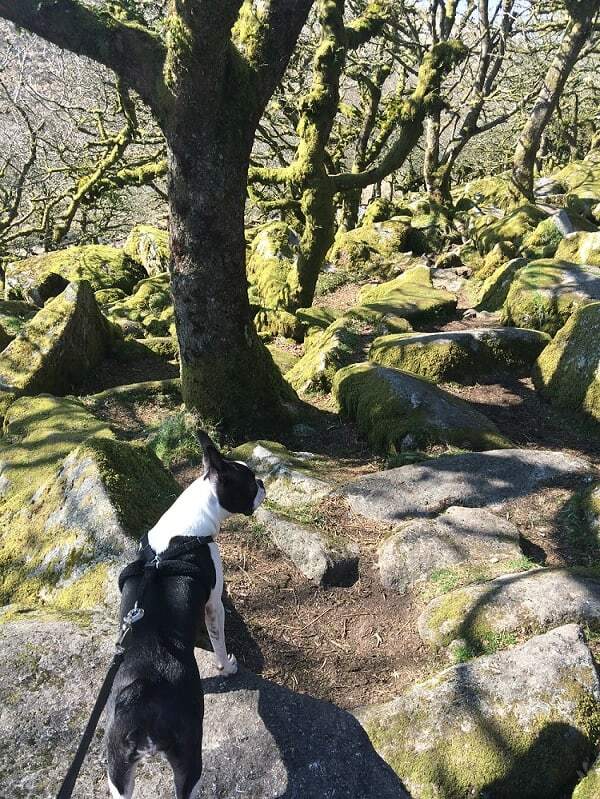 Wistman's Wood is an amazing and beautiful group of stunted oak trees growing among granite boulders, and makes a great walk from the Two Bridges Hotel. Wistman’s Wood lies about a mile north of the Two Bridges Hotel, covers some 3 hectares, and is owned by the Duchy of Cornwall. The wood is famous for its twisted and weathered dwarf trees, covered in mosses and lichens. The trees are mainly oak, but you’ll also find mountain ash, hollies, and ground plants such as bilberry and woodrush, plus mosses, ferns and grasses. Wistman’s Wood is managed by the Nature Conservancy Council, with help from local volunteer wardens. There is no restriction on access to the woodland reserve, but visitors are asked not to light fires, and to keep outside any areas cordoned off for scientific work. The start of the way-marked walk to Wistman’s Wood can be found in the small car park across the main road from the Two Bridges Hotel. 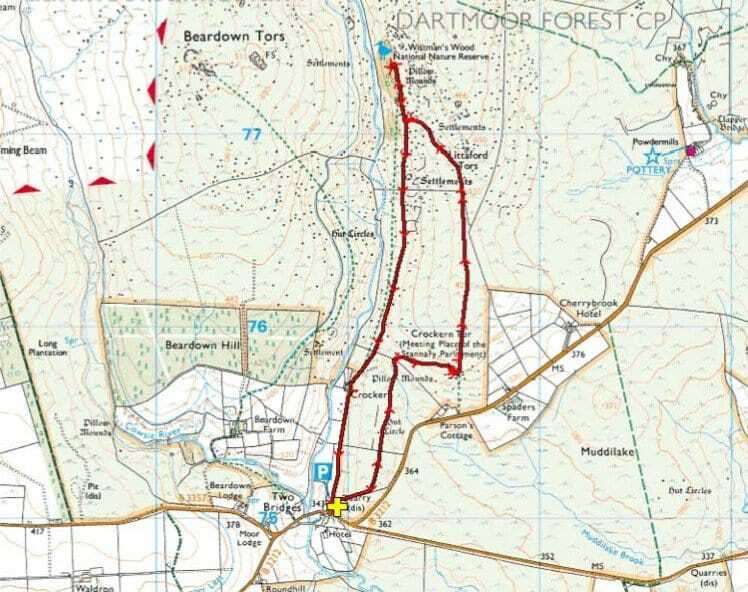 You’ll find a choice of routes – either take the direct route which broadly follows the West Dart River, there and back, or a circular route which also takes in Crockern Tor. The full circular walk, taking in Wistman’s Wood and Crockern Tor, is approximately 4 miles, and you should allow a good 90 minutes or so depending on your walking pace! We have ample free car parking at the Two Bridges Hotel for hotel guests, or if you are visiting for lunch or afternoon tea perhaps. For non hotel customers, there is a small car park at the start of the walk, just across the B3357 from the Two Bridges Hotel. Take care crossing the B3357 from the Two Bridges Hotel, to start the walk, as this is something of a blind bend. Remember that the weather can change very rapidly on Dartmoor, and you should wear plenty of layers. And there are no street lights of course – so allow plenty of daylight time for your walk!